Catalogue and samples is available. Marble and wood grain and more textures are available.Feel free to contact me! Changzhou Broad New Materials Technology CO.,LTD(hereafter referred to as CZBROAD) is a high-tech enterprise specialized in the research,development,production,sales and application of wpc material products and pu products.The company is located in prosperous Yangtze River Delta region,Zheng Lu Town, Tianning District,Changzhou City,with superior geographical position and convenient transportation access.Our major products are wpc products and pu foam trowel,wpc product line includes outdoor decking,railing,pavilion,pergola,garden landscaping products,quick integrated wallboard and so on.Products are widely used in municipal engineering, landscaping, public construction facilities, home decoration and furnishings, packaging and building materials and other industries and fields. The company adheres to the concept of Quality Concerned,Integrity Ensured,seeking Truth and Innovation,sustaining Development,steps up efforts to innovation and R& D,grows core competence of the enterprise ,improves the product quality system certification,devotes to provide high-quality products and prime service for customers.Our products have been exported to more than 50 countries and regions,such as America,England,Russia,Germany,Brazil,Australia,the Middle East, Singapore and inland,won the widespread praise from customers. CZBROAD sincerely welcomes all old and new clients from home and abroad to visit and inquiry! Plastic film - Carton Packing - Polywood Packing - Tarpaulins Packing - Fixed with Strapping. Company Name:Changzhou Broad New Materials Technology Co.,Ltd. 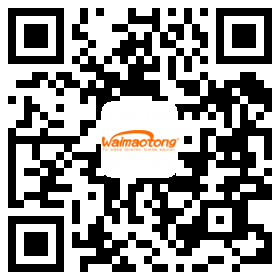 Address:191#Baiyang Bridge,Zhenglu Town,Changzhou City,Jiangsu Province. Company Name:CHANGZHOU BROAD NEW MATERIALS TECHNOLOGY CO., LTD.